If you find monochromatic schemes boring, then you'll be delighted to know that your colorful tile patterns have expanded greatly over the years. No longer do you have to choose only white subway tiles, if your heart leans more towards color - and lots of it - take a look at these wonderful tile designs. 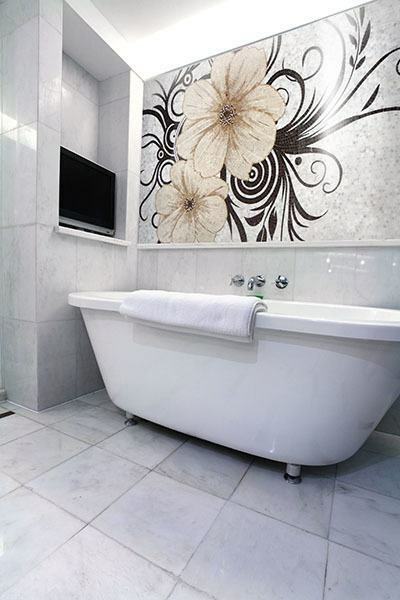 Colorful tile designs not only enliven a room, but they can create an alluring tone or add a bit of fun and whimsy to your decorative scheme depending on the choice of color and pattern you've picked out. Here are a few different examples of colorful tile patterns and how to use them to create a design that makes the perfect statement for your home or business. Modern elegance is about color and straight lines. That's why these Soho tiles are perfect when you want to add multi-colored strips on a bathroom wall or along a counter top. The Gentle pattern has three different colors, ranging from golden yellow to dark blue and white. This is just one color choice, but you can also pick some with browns and greens in them as well. Here is an example of how to use Soho strips in your next bathroom design, either as a border or a shower stall wall. If you want a look that is more classic, you can opt for basketweave tiles. 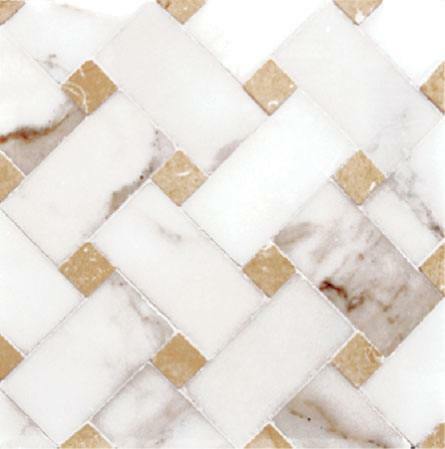 They come in gold tones for the hole like in this Calacatta Jerusalem or even Ming Green for weave. You can get basketweave tiles with brown, black, white, and blue too. Whichever colors you choose, they are an excellent choice for entryways and sitting areas. 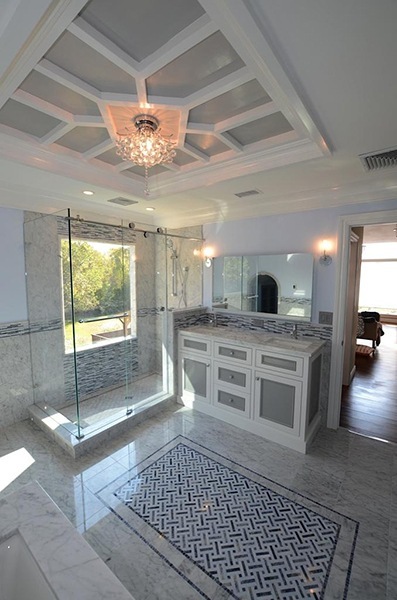 This design using Cielo and Blue Bahia basketweave tiles created a rug for a bathroom spa area. 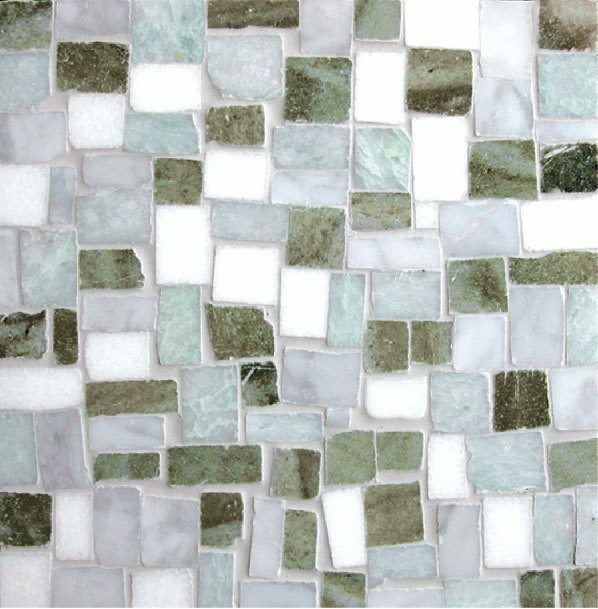 The Fusione collection has some pretty spectacular modern tiles that look like hand-chopped mosaics. They can be used in any modern design to add a splash of color to a feature wall, a floor, or even around a hearth. 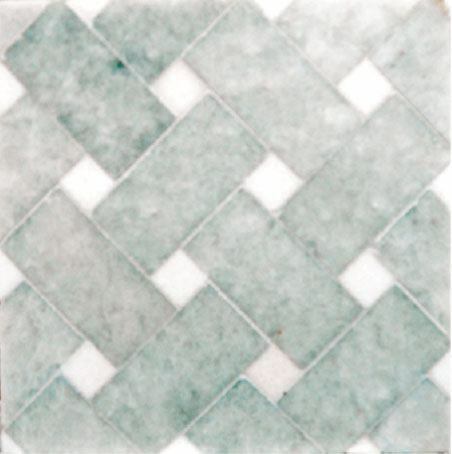 Imagine this luscious Bronte tile in an entry way. If you prefer a greener tone, try the Saga. 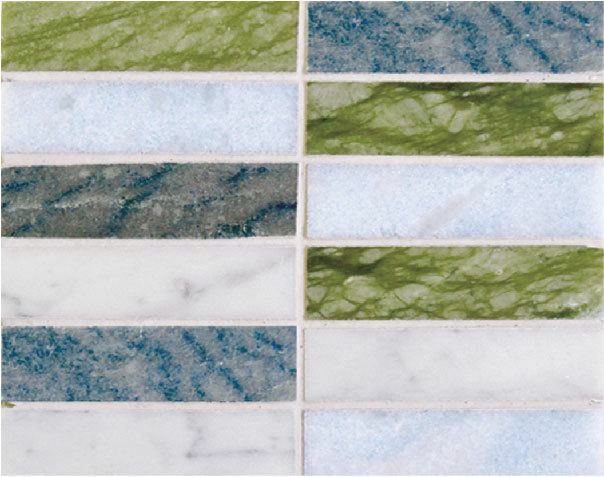 These are just two of the possible colorful tile choices in this collection. What is more colorful than flowers? There are entire collections, like the Luxe Collection, that focus on florals and botanicals. They add an instant pop of color and bring nature indoors. 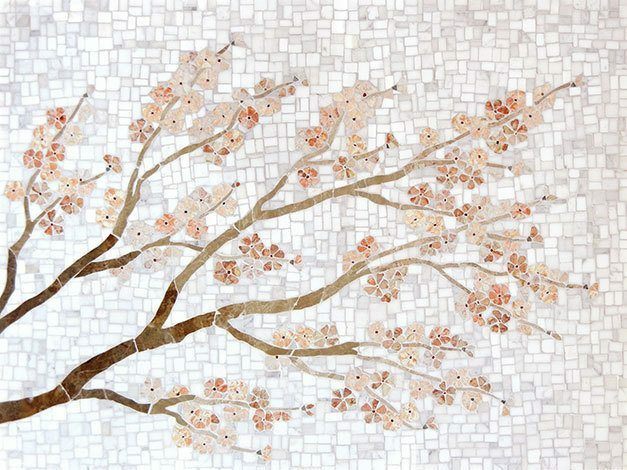 The Bloomfield mosaic tile uses cherry blossoms to bring in that spot of color to a bathroom wall. 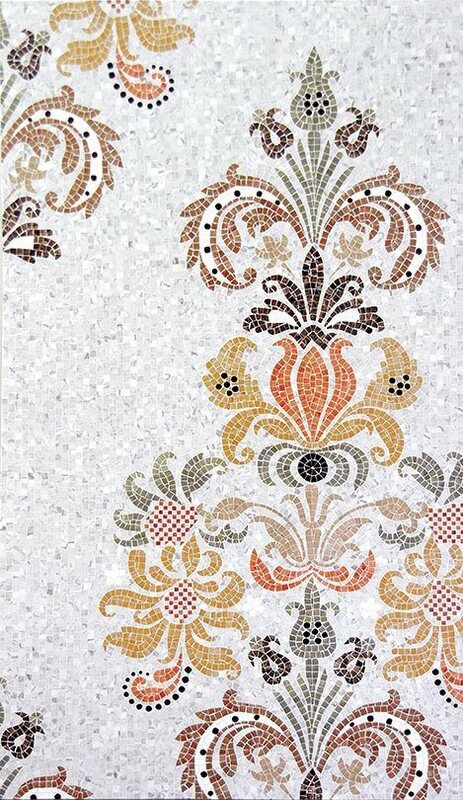 Don't be shy about using reds or oranges too, like in this Zurro tile from the Luxe collection. They are perfect with a floral motif. Florals can be put up as permanent framed works of art, like this giant floral from the Luxe collection in the bathtub background. These are also sometimes called diagonal grid tiles. The diamond shapes are laid in a diagonal pattern and can include more than one color. 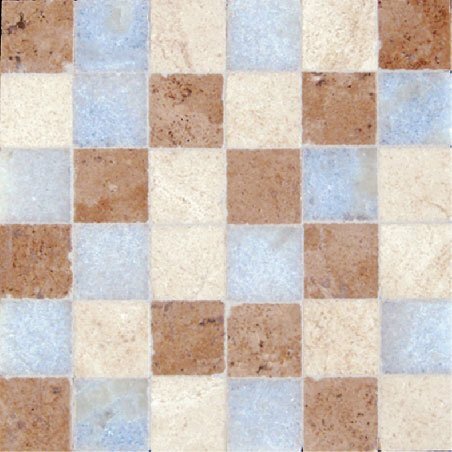 Here is a blue, brown, and beige, diamond checker tile called Solstice. 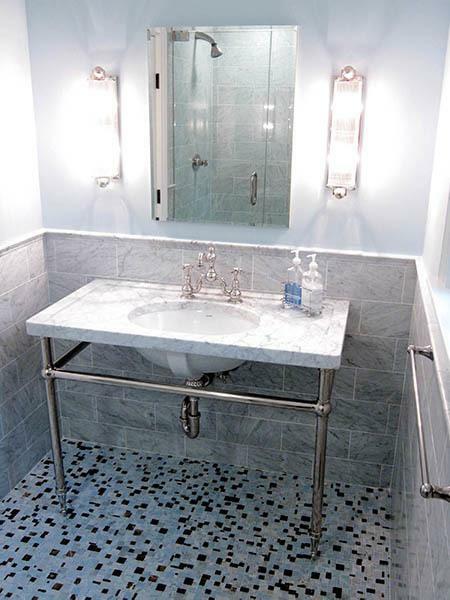 That blue will pop out and be just the right dash of color in a living room or bathroom floor. 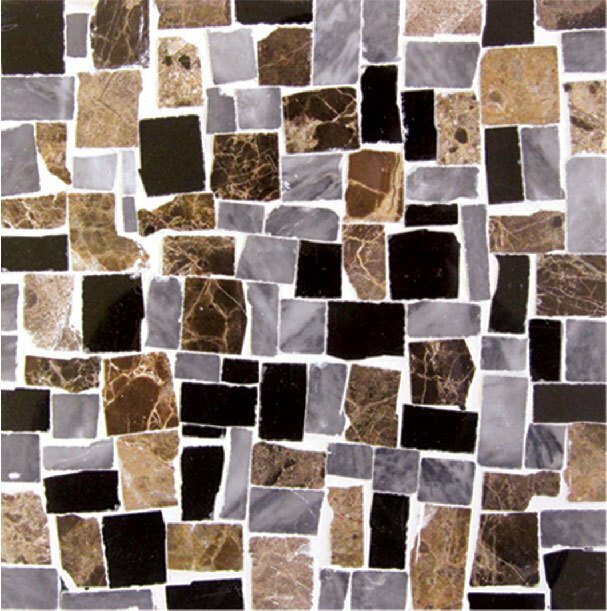 The Beret tile offers a darker palette with browns in various tones. These aren't quite checkerboards because the colors aren't evenly spaced, but that makes the design even more exciting in the end. A simple black and white grid can offer a checkerboard pattern. However, if you want something less boring, why not add some color to the same grid tile design? 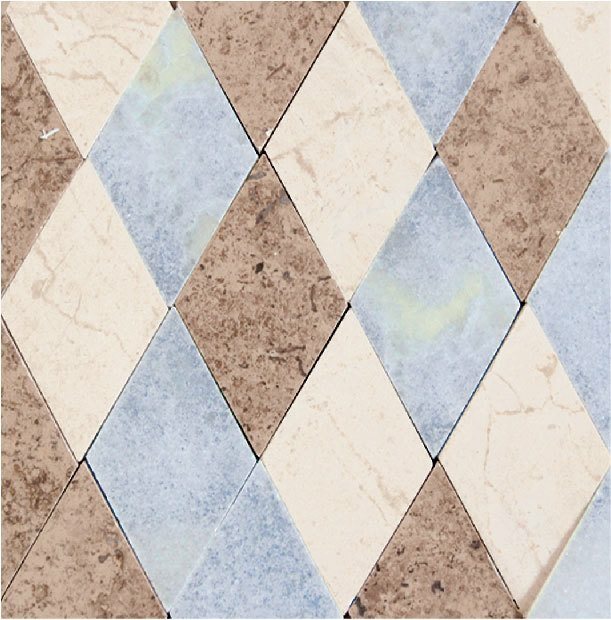 This Breeze tile brings together the blues and browns that are very popular in contemporary design. 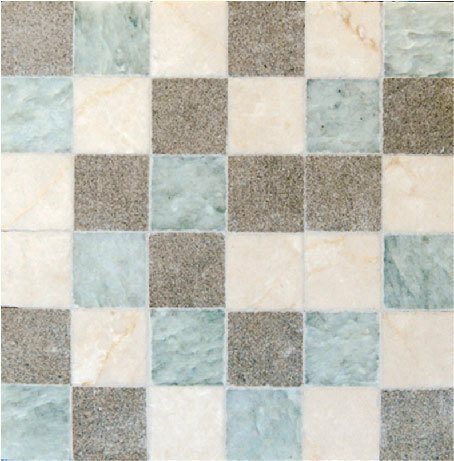 There is also a cream, gray, and blue tile called Melba available. 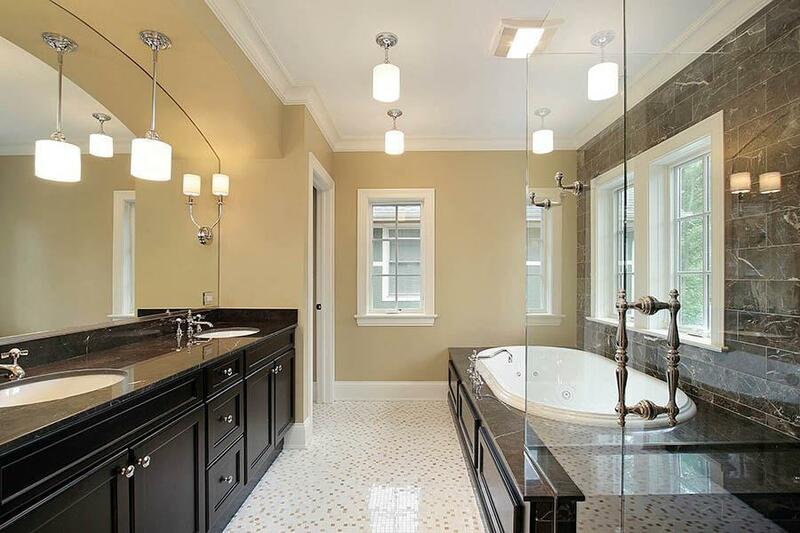 When put grid tiles on a bathroom floor they look like ripples of color traveling along the floor, as in this design. To get a more irregular feel, but still somewhat grid-like, tile makers just use more irregular shapes. 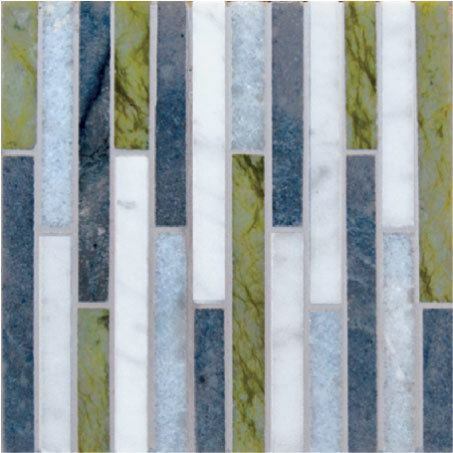 This Studio Quad Lagoon Modular Mosaic has some red, blues, and whites amongst other colors to give the look of stained glass window, but for your bathroom floor. A lighter palette might use the Glenridge 2 to get add a golden touch to your next remodeling project. Brick layouts that are one on top of another, not staggered, are also still popular. They also work better for more "ordered" designs that are less abstract. 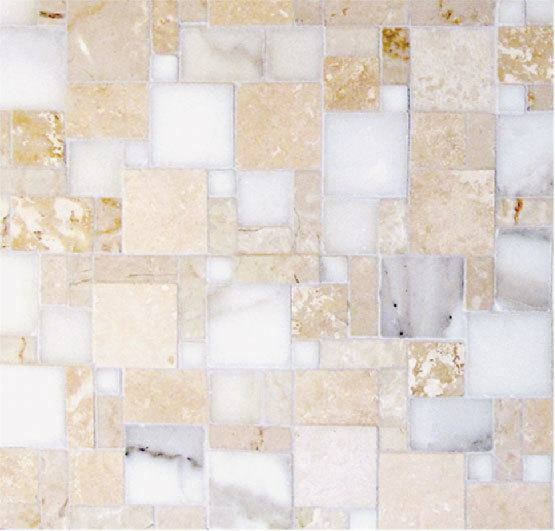 The Suji collection puts them in one mosaic tile with plenty of color choices. 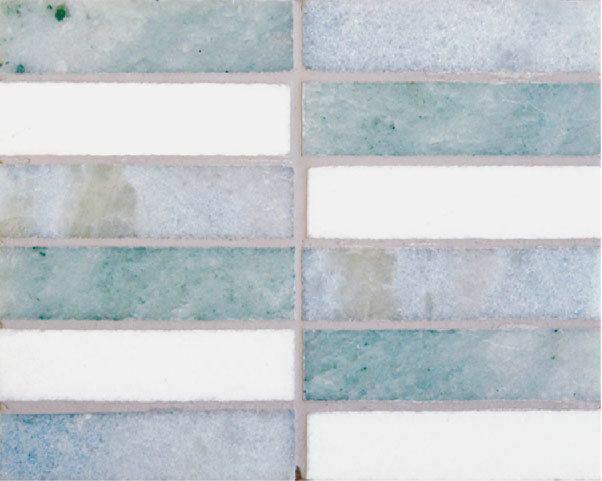 The Riverdale tile has green, blue and white in a single tile and would be an excellent choice for a cooler-toned bathroom or kitchen. The Skylark tile just has blues, no greens. You don't have to create your own tile color matches when one tile can have the perfect color choices all in one design. Then, all you have to do is decide where to put the tile, not how to lay it out so it looks good or what colors to mix and match. It's already done for you. 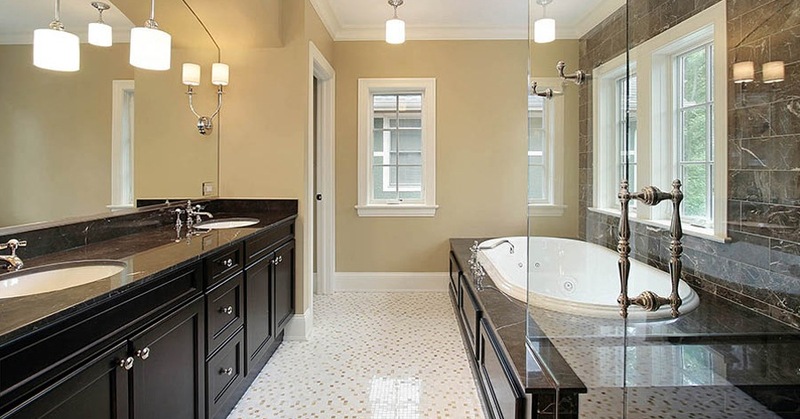 If you look at the different tile collections that have these types of patterns, you will be able to find a style and color choice that is perfect for you. It is the easy way to get the perfect look because all of the work is done for you. There is less trial and error and you don't have to lay it all out beforehand to make sure the tile looks good before you have it put in place. Now that you've seen how easy it is to make a powerful and colorful design statement with these color tile patterns, what do you think you would choose when remodeling your home? Just comment below and let us know if you have any questions about how to use these tiles in your future remodeling projects.